A million things have been said about relationships, so let me state only some basic truths here. The fact of the matter is that in any relationship, the person stays not because of what they get from you, but because you allow them to be who they are. Complaining or nagging achieves nothing. It only aggravates the behaviour it is seeking to cure. So do not complain and do not nag. The less you react, the less provocation you will have for a reaction from the other side. Disengage yourself from a conflict as quickly as possible. Give your partner the benefit of the doubt, always and at every stage. A little patience can dissolve disharmony. Remember, real patience comes from knowing yourself. Avoid cynical humour or sarcasm under the pretence of being funny. These words act as acid rain, which destroys the soft flower of your relationship. Do not accuse or attribute hidden motives to your partner, even when you feel justified. Let go of past grievances, forget about them and you will overcome them forever. Even when you are sure that you are right, accept your partner’s point of view. You will find in it a truth that should be honoured. Being right and having your way may be a triumph of your Ego, but it destroys relationships. The more you try to improve yourself instead of trying to change your partner, the better your relationship will become. Acknowledge your partner’s feelings and perceptions, without judgment or criticism. Undivided personal attention cultivates affection. Take 100% responsibility for making the relationship better without expectations from your partner. This is the best way to evoke the partner’s cooperation. Learn to cherish the differences between yourself and your partner. No gesture is too small or insignificant that it should not be acknowledged. Don’t take anything for granted. Give full credit to your partner, even for small things. Silent willpower is more effective than spoken words. When you want something from your partner, will for it silently rather than asking in words. Listen to your partner’s silences. Respond with understanding, acceptance and affection. Gratitude is a spiritual emotion that brings more of what you feel grateful for. 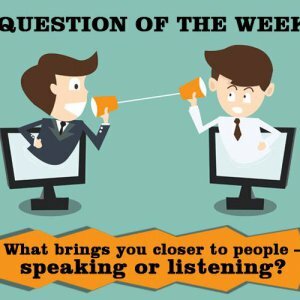 What brings you closer to people – Speaking or Listening? 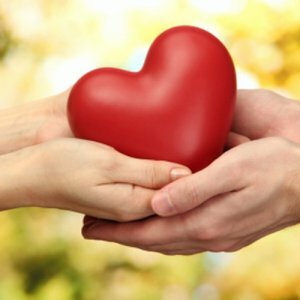 What requires for a healthy marriage to move smoothly?